Minecraft is HUGE at our house, but I don’t feel right letting my kids play Minecraft all day every day. I like for them to have hands-on play as well. But, the appeal of video games is strong. 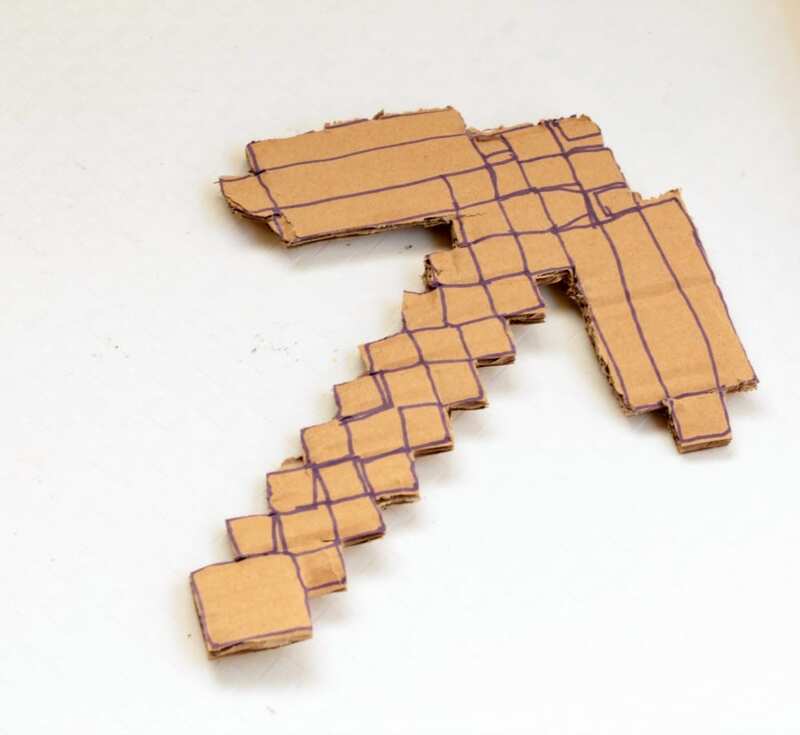 So, to entice them to get off the game and play outdoors, I made my kids these cardboard Minecraft tools. 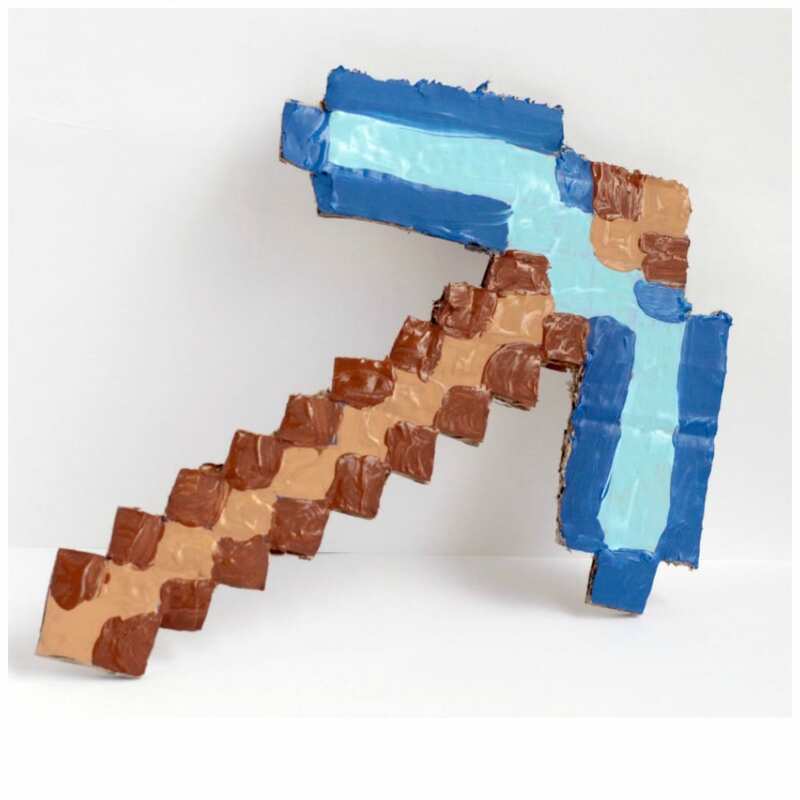 The Minecraft cardboard pickaxe is the first tool we made and my kids had a blast playing with it! At first, it seemed like this was going to be a challenge to make, but in the end, it was pretty easy! 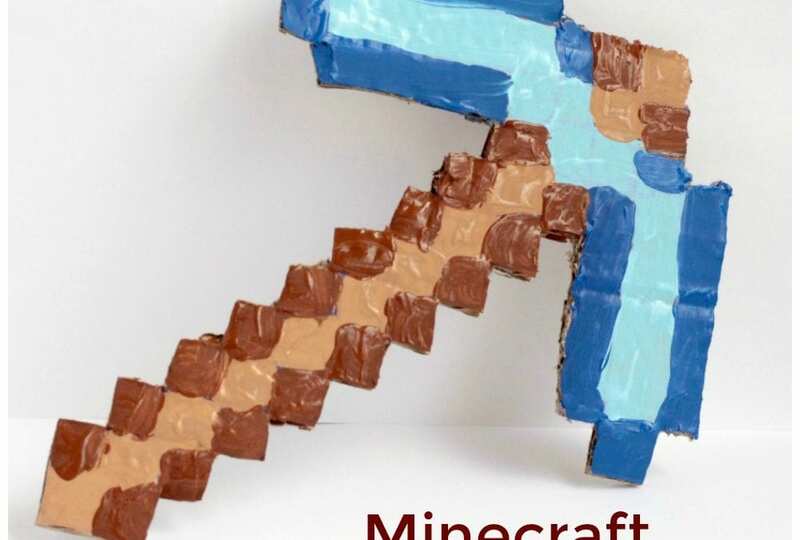 The pickaxe is a staple of the Minecraft world. 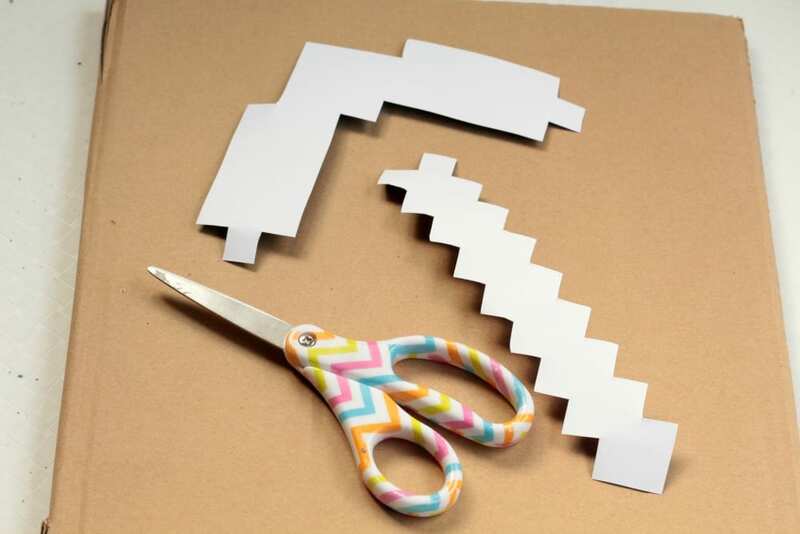 Bring the Minecraft universe to life when you make this simple cardboard version. The smaller size makes it perfect for little hands and it might just become your children’s favorite toy! 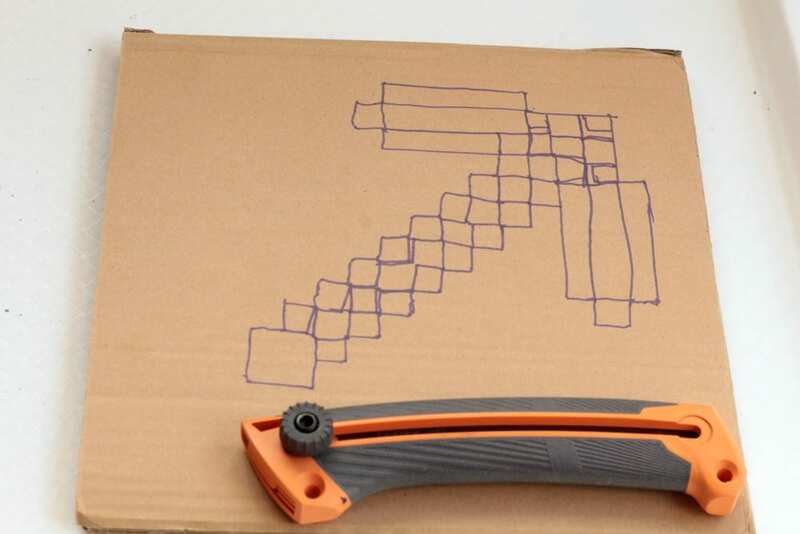 First, you will need to print a template for your cardboard axe. I just found a png file of the diamond pickaxe and printed it onto a single sheet of computer paper. Cut out your design, and trace it onto your cardboard. Fill in the rest of the outline with a marker. This will help you paint it later. Cut out the cardboard shape using your craft knife. This is the longest step, but we had ours cut out in less than 10 minutes. Paint your axe according to the template you printed. 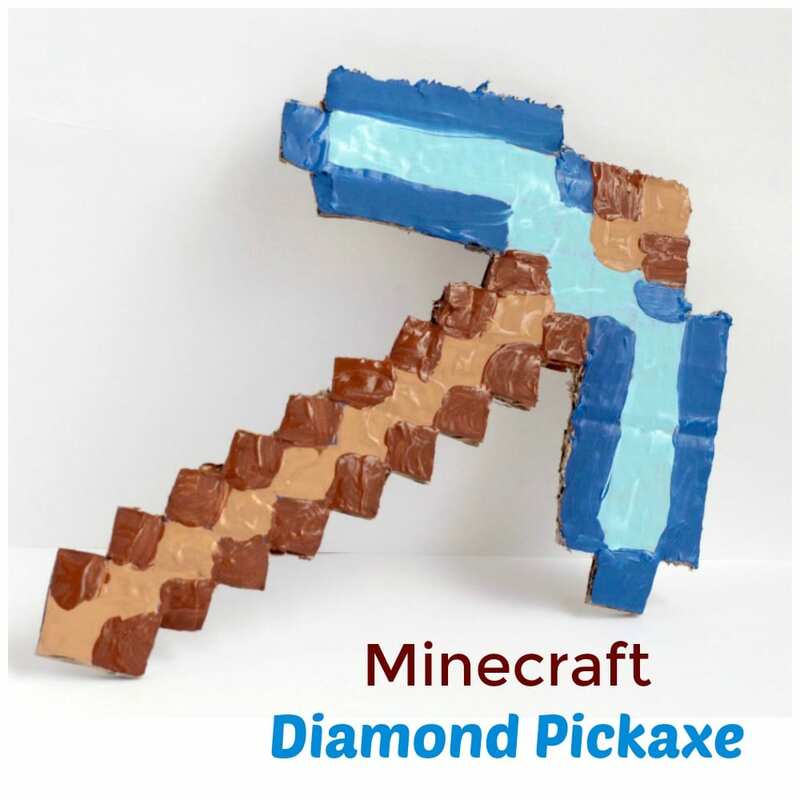 You don’t have to make a diamond pickaxe, you can also make a wood, iron, or stone pickaxe depending on which version your kids love the most. Let the pickaxe dry fully, then paint the second side. 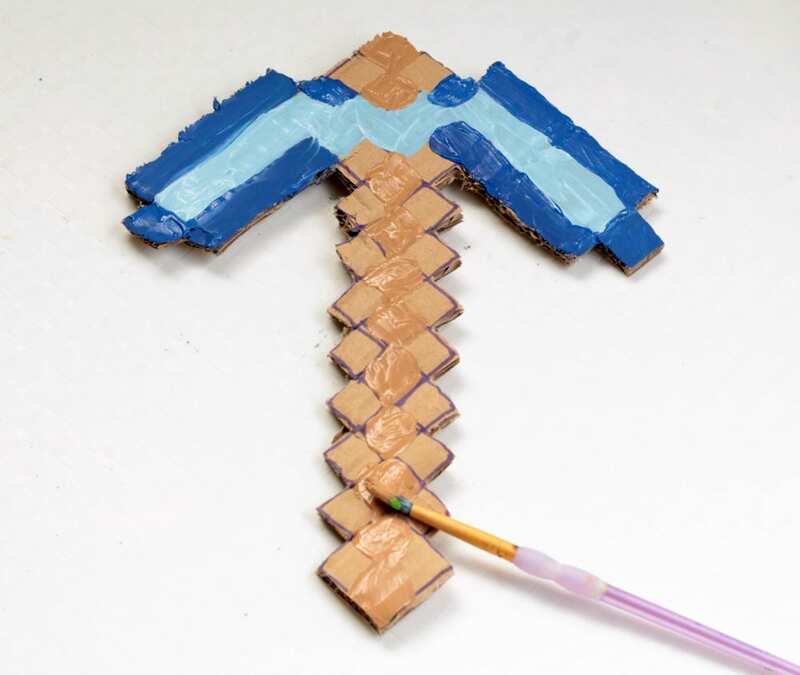 Once the paint is fully dry, give the pickaxe to your kids and let them play Minecraft in real life!